Last month, 60 survivors of human trafficking received cards made by the students of Danielle Walker’s Women in Contemporary Society class. Walker teamed up with Durga Tree International, a fundraising organization that works to end modern day slavery, whose CEO Beth Tiger personally brought the cards to a shelter in Guatemala for survivors of human trafficking. Walker, an adjunct professor of women’s studies at Ramapo, participated in a fundraiser held by Durga Tree last year and introduced herself to the leaders of the organization with the thought that she may one day partner up with them for one of her classes. That day came after she was inspired by a student in one of her prior classes, Women in Social Media. As part of this class, Walker had her students blog about human trafficking. One of her students, Alaina Seyler, posted about A21, another nonprofit that fights human trafficking. On their website, A21 encouraged people to send cards to them, which they would then route to survivors of human trafficking. Inspired by this idea, Walker utilized her connection to Durga Tree and had both sections of her Women in Contemporary Society class make cards that would then be brought to Guatemala and hand-delivered by Tiger. “Being that it just so happened that I made a connection right in our backyard, I know that the CEO herself meets these survivors face-to-face because she takes an annual immersion trip with a team of ordinary citizens that volunteer to go, and they go visit these people and stay for at least a week to learn about their lives and the people that they’re helping directly through their donations and their volunteering,” said Walker. 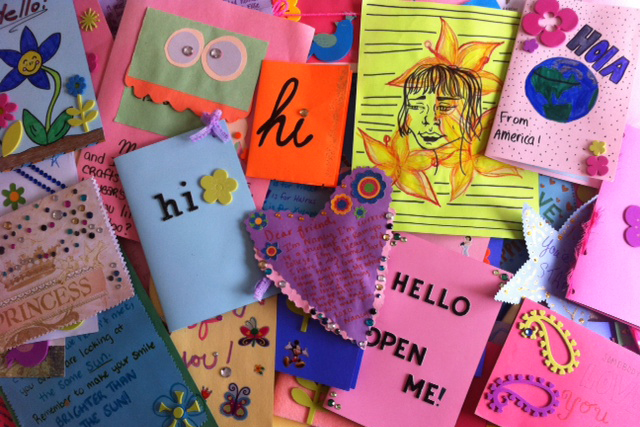 As there are 72 students currently taking Walker’s Women in Contemporary Society course, and each made at least one card, all 60 girls in the shelter were accounted for. Other students who were not in the class, but wished to get involved, donated craft supplies. Tiger and the business manager of Durga Tree also visited the class to give a presentation about human trafficking. The recipients of the cards are ages 9 to 15, according to Walker, and 15 are babies and toddlers born of the survivors who were impregnated by their trafficker. Walker hopes that this project will inspire the students of her class to get involved in any movement, related to human trafficking or otherwise, that sparks their interest and pulls at their heart strings. Ramapo students consult with LASIK NJ doctors before deciding on whether to have LASIK surgery.